Do you have Green Fatigue? Years ago we shined shoes and repaired them. Today, we throw them away and buy a new pair. This equates to more resources, more energy, more utilities, more….. Yup, too much throw away items on the planet! OK we know all that and all this “going green stuff” is wonderful. But geez, doesn’t buying local, buying organic and going green cost more money? And how do I know that the changes I make will actualy have an impact? Education and understanding can be key factors in knowing how and where you can make more responsible decisions. Make it a goal to understand how to change habits or products that keep you at the same level of expenditures or even save you money in the long run, so spending more money does not even have to be an issue. 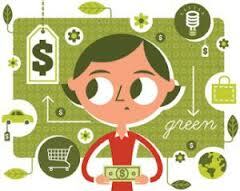 Here’s a simple goal: I will learn sustainability to save money and improve my family’s health! Who can argue with that ? And yes, help save the planet too! Earning Audubon’s highest eco rating rating for our Lodge On Lake Clear was no small feat, it took a few years and I got “green fatigue” pretty quickly. It took time and effort and yes in some cases more money upfront. I looked at a lot of green hotel practices. Then I found the Carbon Diet Priorities Chart and the Green Tips Library, a great resource for anyone. The “Library” at http://www.carbondiet.ca breaks it down for you in 5 simple categories. If you are a list maker, write them each on a piece of paper. Then ask these questions to determine what you can do in your world to make a change. What change can affect my HEALTH. Many “tips” are obvious, but many others are much less so and some can involve a different way of thinking. One of the laziest ways to go is to support “green companies” and “green travel”. In that case you don’t even have to think too much! Or change too much of anything. There – first idea and you didn’t lift a finger – except to find them on the internet! And I bet most of us can do this one! Give up disposable coffee cups. If you are a regular coffee junkie and live local I am sure you’ve made friends with the store workers by now. Many have programs that you can refill their logoed cup, or bring your own that matches the size of their disposable ones. Many of you go to local Farmers Markets. Not only are you buying good foods – is it supporting your “neighbor” and it supporting your whole community. But do you know how to prepare those foods to increase and improve the nutrients and enzymes rather than cooking these valuable nutrients away? Aren’t you buying them for their supposed better nutrient value as well as fresh taste? Go to my blog at www.curecottagecuisine.com to find out more. Join a cooking class – the focus will be on making the absolute most of your local and organic food purchases! Make food more nutrient dense for your body by learning to save the nutrients in the food you eat – not buy more supplements because you are cooking them away. This alone offsets the possible food cost in comparison to grocery stores or inferior foods. 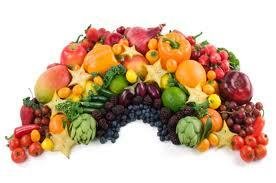 In the case of food – don’t just think green – think all the colors of the rainbow. In a “nutshell”, different nutrients are different colors – so buy the colors of the rainbow and then cook them “nutrient dense”. Reacquaint your family with the 11 time tested principles that kept peoples of the planet healthy for generations. See more at my blog and plus the cooking class schedule at www.LodgeOnLakeClear.com Some classes are onsite and some are online. Do you know what your carbon footprint is? Want to know how to reduce your carbon footprint to zero or at least get somewhat close? There is a list right off our homepage website above to tell you all about your carbon footprint, how to calculate it and even how to buy carbon offsets. With that all said – greening can be very simple. It can be as wondrous as stopping all that unwanted junk mail, thinking before you push the print button and re-purpose something. If you are on facebook or know how to search the web – re purposing is becoming quite the art! Look for images. You will be amazed what people can do with “stuff”! And oh by the way – one of my mentors used to bring a plant to all of her presentations – always reminding people to think green – but she meant think fresh, think new ideas – a great way to start and end any kind of conversation. Happy Greening how ever you do it!